Session 1 – 12:30pm to 2pm; Session 2 – 1:30pm to 3pm. 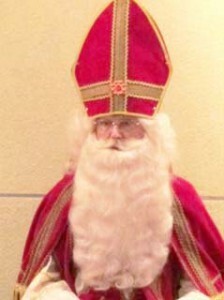 Both sessions meet Sinterklaas, the Dutch Santa Claus, together at 1:30. Participation in Sinterklaas is by pre-registration only.